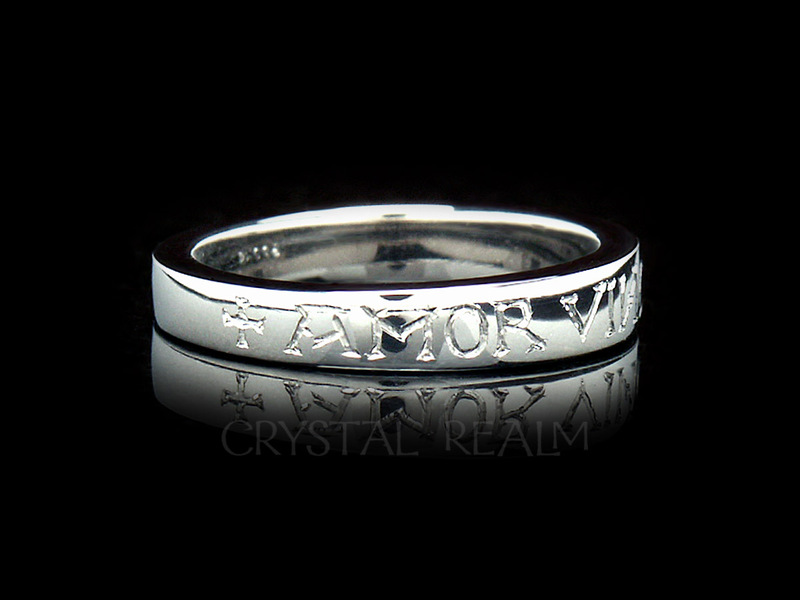 Amor vincit omnia, Latin for love conquers all graces this tapered band in hand-engraving. 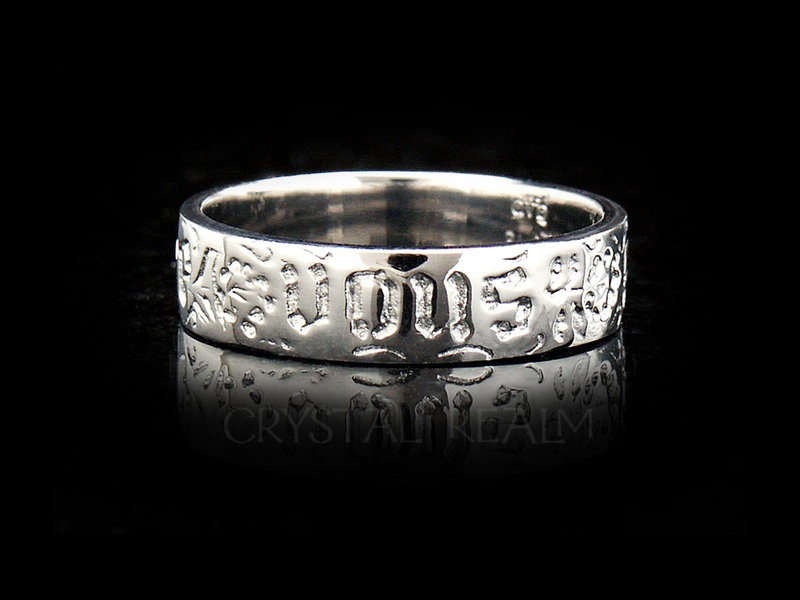 The lettering is an adapted version of a 12th C. medieval font designed specifically for this ring. 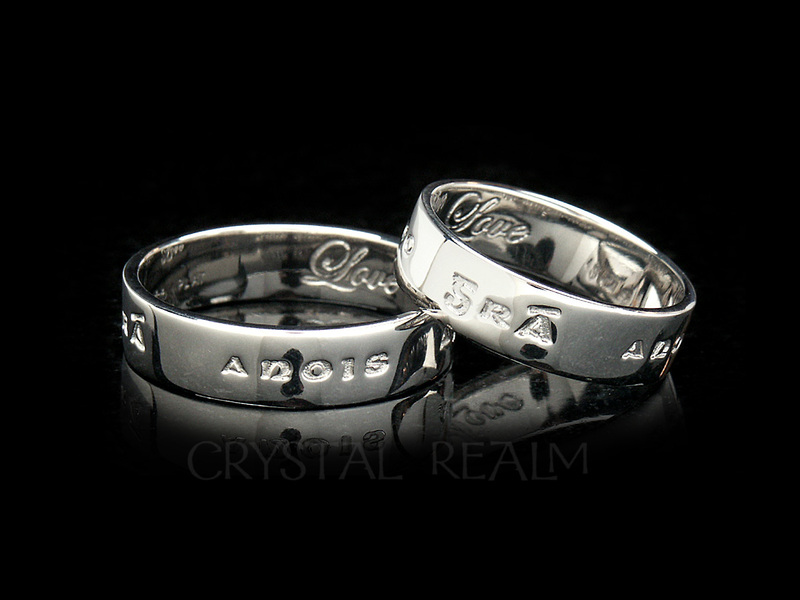 Tapered rings are ultra-comfortable to wear, fitting beautifully on the hand and keeping the lettering in place. 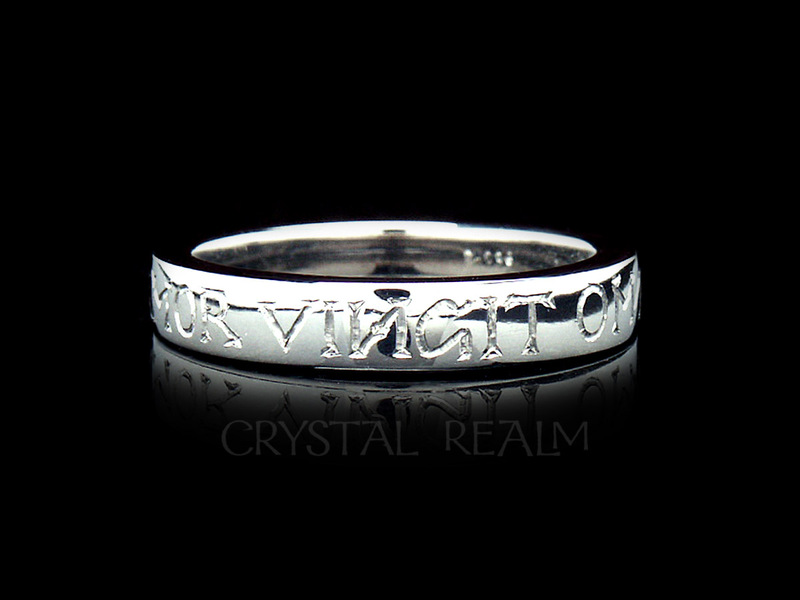 Lettering only part way around the ring means that future resizes, if necessary, are a snap. 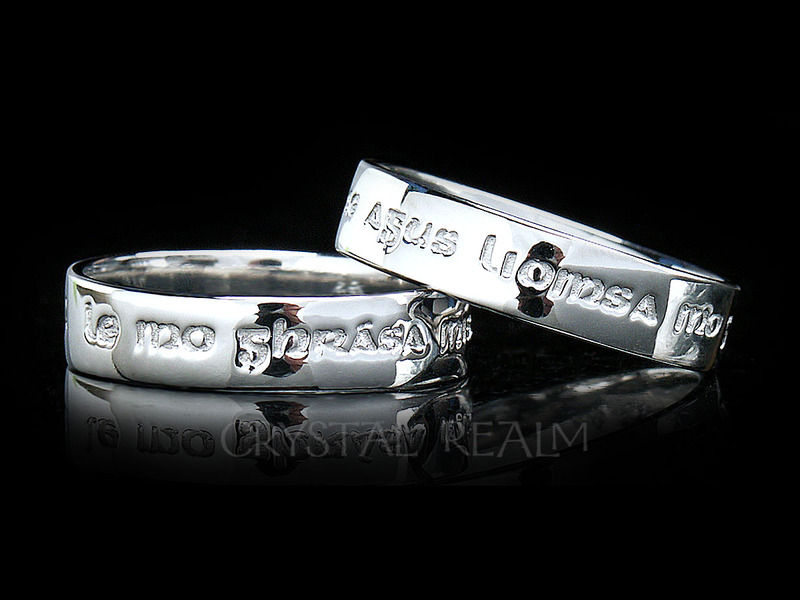 Available in platinum in whole and half sizes 3 – 13.5, with other sizes available upon request. 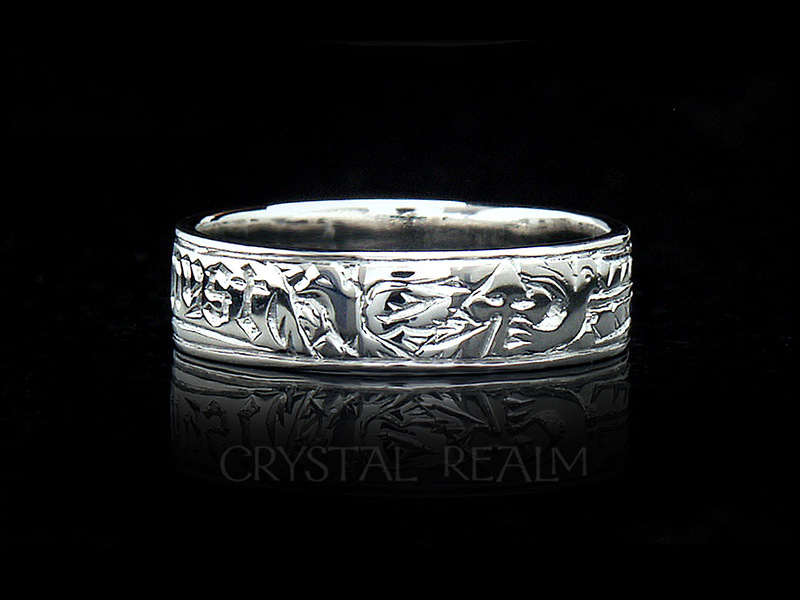 This band is a very solid 2.25mm thick and just over 4mm wide at top center. 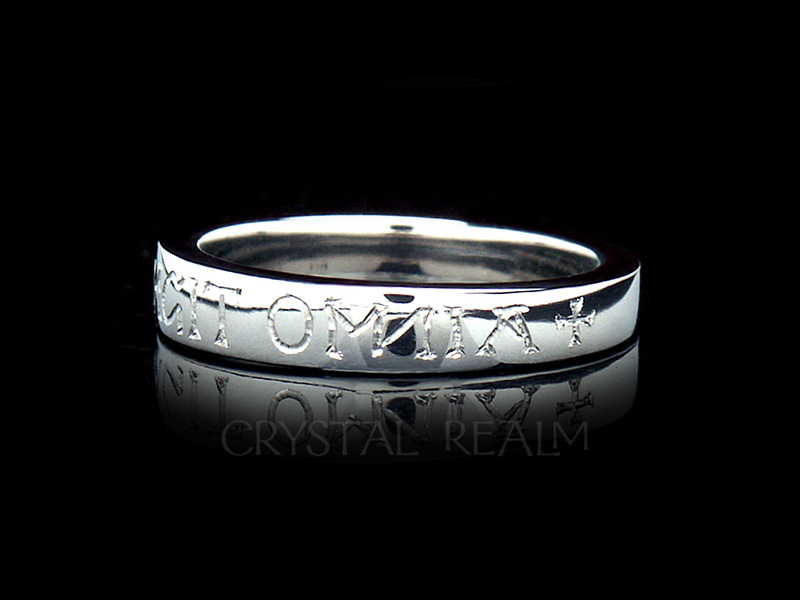 Customize your ring: Since this band is made from a one-off, hand-carved wax, we can modify it to your taste. 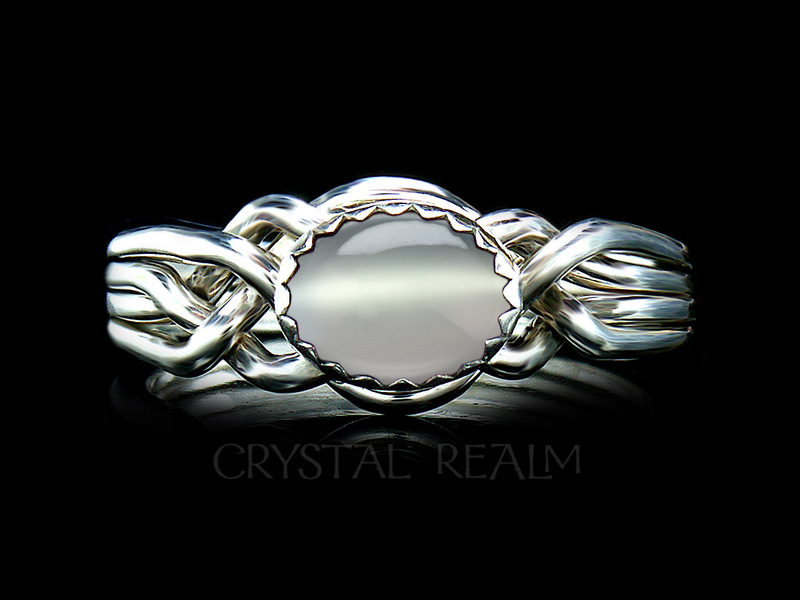 We can make it wider; we can increase or decrease the profile or thickness; we can add gemstones. Please feel free to contact Mandira to discuss your ideas or order it as is. 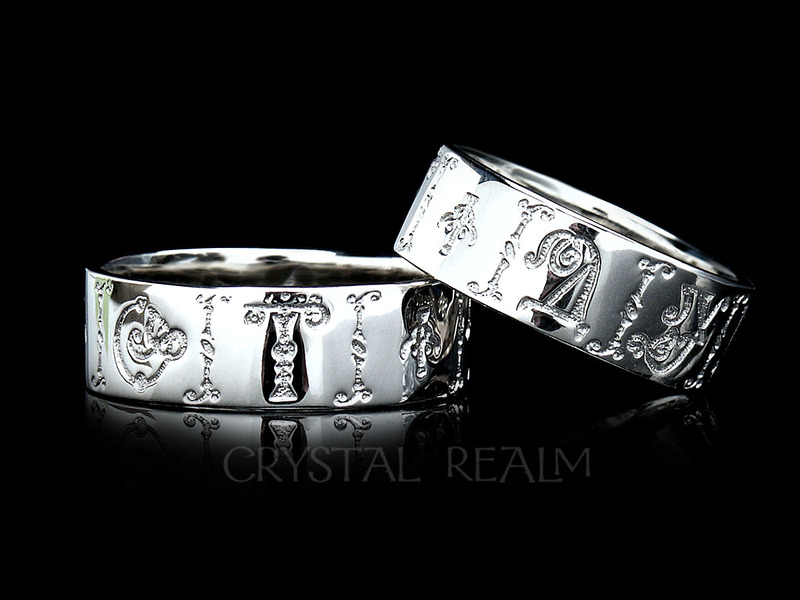 It is more beautiful than these pictures can show, and the client who first commissioned this ring called to say, ‘It’s gorgeous!’ upon receipt. Priced singly. Order two for a pair (choosing one size at a time and placing it in your basket). 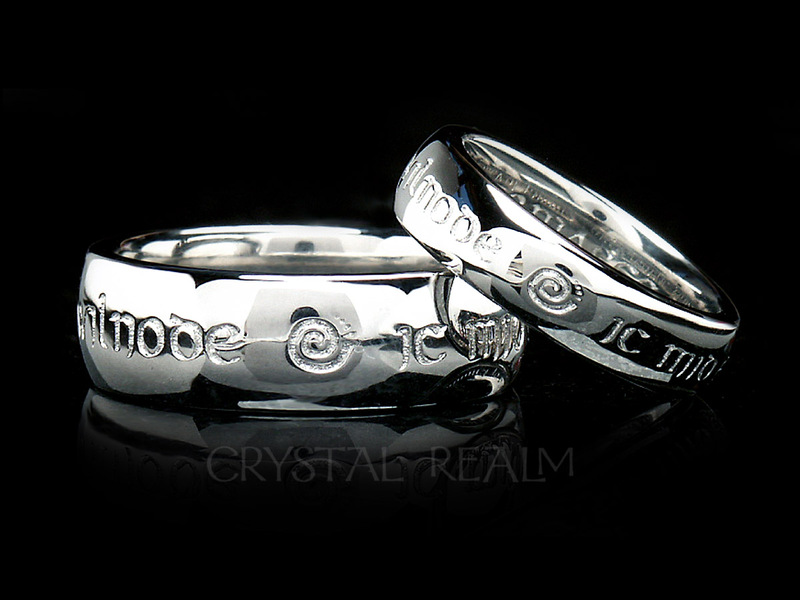 Artisan-crafted and hand-engraved to your order exclusively by Crystal Realm in the U.S.